So, you’ve finally made it through didactic year, and are starting to get the hang of clinical rotations – I am so happy for you! But now what can you do to start preparing for after graduation, you know that thing you thought might never happen (or is it just me?!)? Here is a list I compiled of things to consider as you move toward graduation and becoming a PA-C. Keep in mind that this is non-comprehensive, but covers the big things that I found important to do or know about in the process of myself becoming a new PA-C.
Start determining how and when you will be studying for the PANCE. Decide if you are going to attend a board review course. I did, and got a lot out of it, but several of my friends did not and still passed their boards. It really is a personal decision. I decided it was the right choice for me because I wanted a little more confidence and a little less anxiety going into the exam. I used CME Resources, which was $750 for a 5-day course, and I thought it was totally worth it! Don’t forget to add in the cost of the binder ($50) if you want it, as well as the hotel/flight if you are traveling to attend, and money for dinners every night (breakfast and lunch were provided, but double check with your specific review course). Each course might also be a little bit different, so be sure to check out the specific itinerary and details on their website. Start looking for jobs! There is quite a lot of variance among when students begin to look for positions, but most in my experience tend to have a job lined up prior to graduation or around graduation. However, that doesn’t mean you have to have a job before you graduate! Some students I knew waited until after graduation to start applying for positions. There are so many jobs for PAs in my experience, so you can really take as long or as short of a time finding and accepting positions. However, if you have a specific specialty, location, or any other perks that you are adamant about having in your first PA position, I’d say jump on them because the position may or may not be there when you decide you are ready to apply. Again, it’s a completely personal decision. I applied about 5 months before graduation, had my interview about 3 months before, and accepted the position 2 months before I graduated. Once you accept a position, there is a bunch of credentialing paperwork that your specific employer will send you, in my experience it comes in increments because of the massive amount of information they need. Be prepared to provide a lot of information that you would typically need for any job you’ve had in the past, as well as completing background checks, drug screens, and a check/update on your immunization status. You are now eligible to register for the PANCE exam, or your certifying exam. Your program has to authorize you to be able to do this, but once they do you can register for a location, day, and time to take your PANCE. The cost was $500 when I took it in June 2018. You are eligible to take the PANCE 7 days after graduation and can decide to do it a week after graduating or wait a few weeks like I did. Again, a personal decision, and I waited so I could attend a board review course prior to my exam. It takes about 1-2 weeks to receive your scores back after taking the PANCE, so relax and enjoy your time until then! No need to stress about scores until you see how you did. Here is the link to the description of how many times you can take your PANCE: http://www.nccpa.net/pance-registration This is the website where your register to take your boards and pay for them, as well as where you will keep track of your CME credits and certification in the future. Received Your PANCE Pass E-Mail? After you’re officially certified (YAY! ), now you can start submitting your state board licensing application(s) which allow you to practice as a physician assistant in that particular state. For me, I applied to the State Board of Medicine and the State Board of Osteopathic Medicine because I will be working under both MDs and DOs. Depending on your position, you might only need one or the other, or both like I did. The website you will visit depends on the state in which you plan on practicing in. You can find a list of state boards on AAPA’s website through this link: https://www.aapa.org/advocacy-central/state-advocacy/state-licensing/list-of-licensing-boards/ . This process can take quite a while to both submit and obtain approval for your license depending on the state you plan to practice in, so you should try to do this as quickly as possible without compromising your application. Some suggestions: if you find it is taking longer than expected and you need your license in order to start your new job, try calling your personal state representative and explain to them that you are trying to get your licensing process moving along. I’ve heard many success stories of new PAs waiting for months to have their license approved, but as soon as they contacted their state representatives, they had their license shortly after! I personally contacted my representative after about 6-7 weeks of my application being submitted and having no updates coming in from the state. You may also need to obtain your National Practitioner Data Bank Self Query for state licensing, which can be found here: https://www.npdb.hrsa.gov/ . At this time, you can also apply for your National Provider Index number, or NPI number. This number is specific to you and allows you to be identified as a healthcare provider in the United States. Attached is a document providing additional information on the NPI number: https://www.cms.gov/Medicare/Provider-Enrollment-and-Certification/MedicareProviderSupEnroll/downloads/EnrollmentSheet_WWWWH.pdf . Now it is time to obtain any additional licenses you may need. Typically, your employer/credentialing specialist will inform you of anything you might need in order to work for them. For me, I had to obtain my DEA license. This license cost me $731, and you must renew it every 2 years. Some employers will pay for it, so make sure to double check! Prior to receiving your DEA license, your employer will also have to submit a Written Agreement to the state, which basically states the physician you will be working under, your provider insurance, and what you will be allowed to do under this provider. This Written Agreement must be approved, which then gives you an Mx number, which links your DEA license to your supervising physician and allows you to prescribe the scheduled drugs that have been agreed upon by your supervising physician and yourself. This portion was a little confusing for me, so I could be unintentionally omitting or confusing information, but the general process and materials that you need to submit are accurate. The process of obtaining all of the necessary licensing and credentialing documentation is definitely a lot, but remember that most company employers will have a licensing and credentialing specialist that will be assigned to your work load. Typically, you can contact them with any additional questions you might have. Relax, do something for YOU (you deserve it after these past few years! ), read up on the specialty you’ll be working in (in the most leisurely way possible – don’t stress too much because you’ll be learning a bunch on the job as well! ), or you can start to aquire some CME credits. I personally used Medscape and linked them to my NCCPA account once I read journal articles and answered questions, but you can really use any website that is approved for CME credits. Just make sure that you register your credits as soon as you complete the activities so you don’t forget about them! CME credits need to be completed every 2 years, and you need at least 50 category 1 CME. Most online journals count as category 2 CME, but you can earn up to 50 this way, and why not get a head start if you’re feeling up to it! I hope this helps to ease some of the confusion and anxiety surrounding becoming a PA-C with all of the appropriate licenses and paperwork. Good luck in your new job! Go show the world what an amazing PA you are going to be! Holly is a newly graduated PA just starting in Neurology. She graduated from Marywood University. 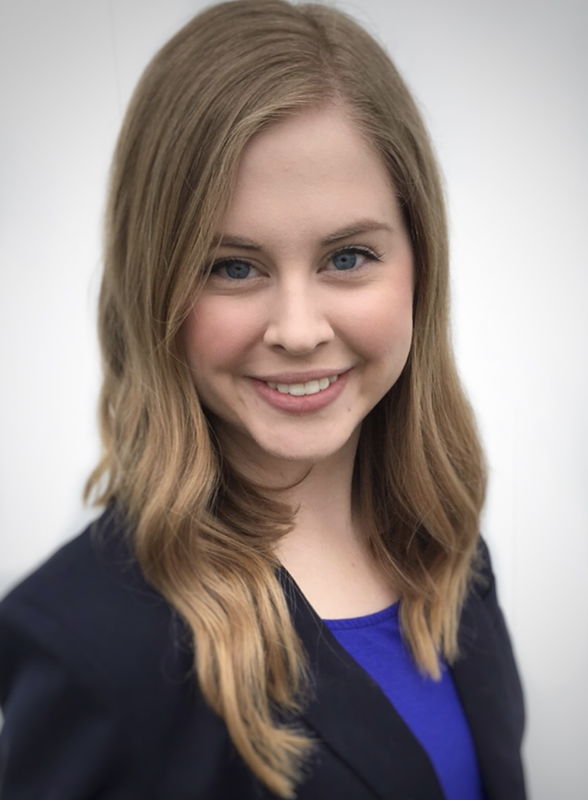 Prior to attending PA school, Holly graduated from Temple University Honors Program in 2014 with a degree in Neuroscience and minor in Psychology. She then worked for two years as a mental health worker, direct service professional in an autism center, and as an emergency department scribe. 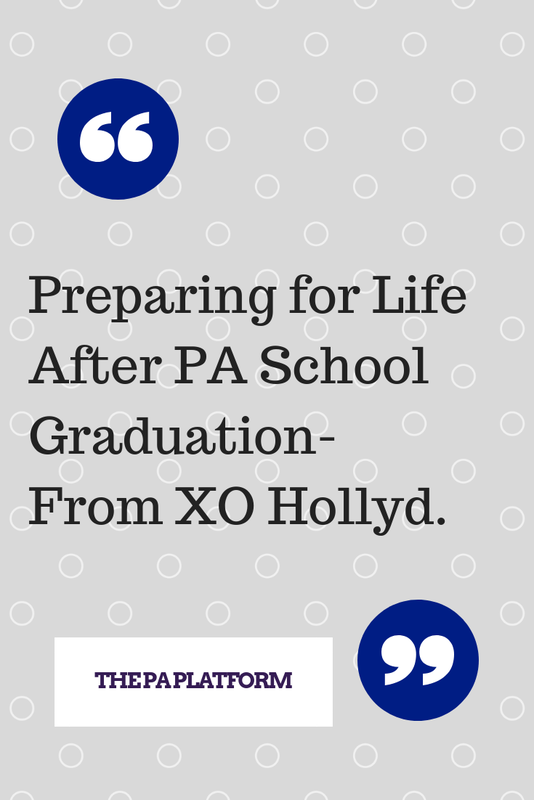 You can find Holly on Instagram at @xohollyd and on her blog XOhollyd for more PA tips!